Before starting my current job within a fundraising organization, my personal views on philanthropy were quite distorted. And, the longer I work in the field, the more I realize that my initial views are quite common. In fact, I would estimate that the majority of people with whom I come in contact do not have an accurate understanding of what a philanthropic organization represents and how it functions. Many people seem to conjure the image of a rusty donation cup at the end of the supermarket checkout line whenever I mention what I do for a living. Others seem to infer that I spend my days begging rich people for money or praying for an anonymous cheque to miraculously arrive in the mail. While I concede that fundraising certainly relies on a mixture of persistence and serendipity, a career in philanthropy is certainly far more evolved - if not truly cutting edge - than you may have imagined. Here are some ways that a career in this industry may surprise you. Raising money costs money. While some fundraising campaigns are able to go viral and incur low promotional costs (ice bucket challenge, anyone? ), running a philanthropic organisation is no different than managing any other business. To wit, to ensure that an organization is meeting its philanthropic objectives, teams of paid, highly-skilled professionals are needed to run the show behind the scenes. 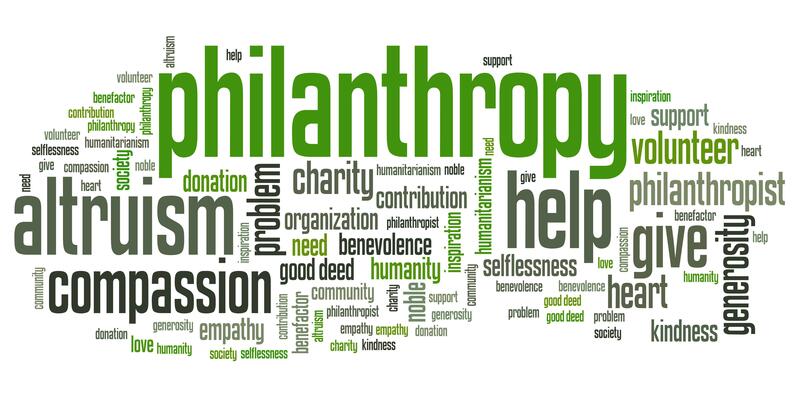 A career in philanthropy is definitely something that can be both fulfilling and lucrative. One of the greatest misconceptions of philanthropy is the notion that it is a very passive industry. To wit, many people believe that charities idly sit by and hope for money to come pouring in. In my experience, nothing could be further from the truth. To use a sports analogy, raising money is akin to a full court press: no stone is left unturned in the search for donations. Well-structured organisations have entire teams dedicated to stewarding former donors, identifying new donors, soliciting gifts and increasing affinity for the cause. And, in order to achieve all this, a vast spectrum of skill sets are needed to staff dedicated teams. So, how does one go about identifying new donors or raising affinity for a particular cause? Philanthropic organizations rely heavily so-called "big data" and to use it to their benefit. As a digital strategist, I make use of powerful tools that help me understand my target audience and to ensure that any investments we make produce a reasonable return. I work closely with my IT and Business Intelligence colleagues, who help develop tools and dashboards that enable my campaigns to flourish. I also work with experienced event planners and communications teams, who provide experiential approaches to identifying and soliciting donors. Without the ability to dissect enormous data sets, trying to raise funds would be like finding a needle in a haystack. Working in philanthropy is shockingly similar to working within a private, for-profit enterprise. As a senior manager, I have monthly/quarterly/annual objectives that need to show consistent progression. I manage a budget that is tied to an operating bottom line and any decisions I make are measured against it. If fundraising results fall short, we suffer many of the same consequences of any other business. Much like any other job I have had, I operate in a data-heavy environment with access to highly skilled resources to help me execute my projects. Like I said before, it costs money to raise money. And I am held accountable for any money I spend. This may certainly sound like a tired cliché but a new $10 donor is just as valuable as a million-dollar donor. In fact, philanthropic organizations are more likely to survive on the basis on many small gifts than an occasional big gift. As such, philanthropy certainly involves more than having to hobnob with wealthy donors and spend years working on a single donation. Working in fundraising is much more of a grassroots prospect; so, if you enjoy cultivating relationships with people of all walks of life, working in philanthropy could be for you.